Our unique three-tier Islamic Scholarship Programme ensures students are able to enter the programme at the level best suited to them. 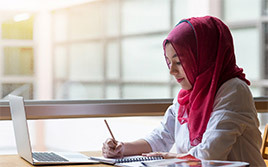 Through part-time study (one day a week live attendance online or onsite) and a dynamic selection of modules, the course provides the opportunity for students and working professionals to study Arabic and the Islamic sciences to an advanced level. The entire six-year syllabus is primarily authorised by Shaykh Mohammad Akram Nadwi. Students will graduate as an ‘Alim or ‘Alimah with a penetrating understanding of the fundamental Islamic sciences. 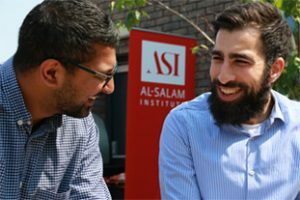 This pioneering programme has already produced a number graduates who now teach with us as Al-Salam Institute course instructors. 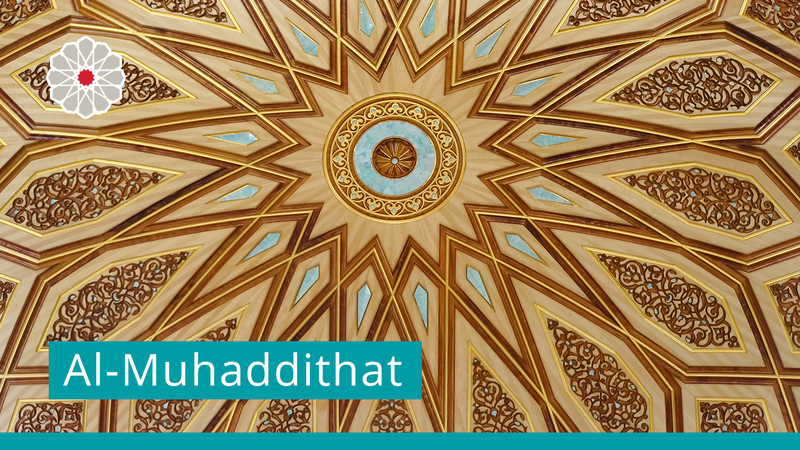 The programme is delivered by a series of lectures, seminars, workshops and tutorials, all of which are streamed live and uploaded onto our Virtual Madrasah for students to review and revise at their own convenience. 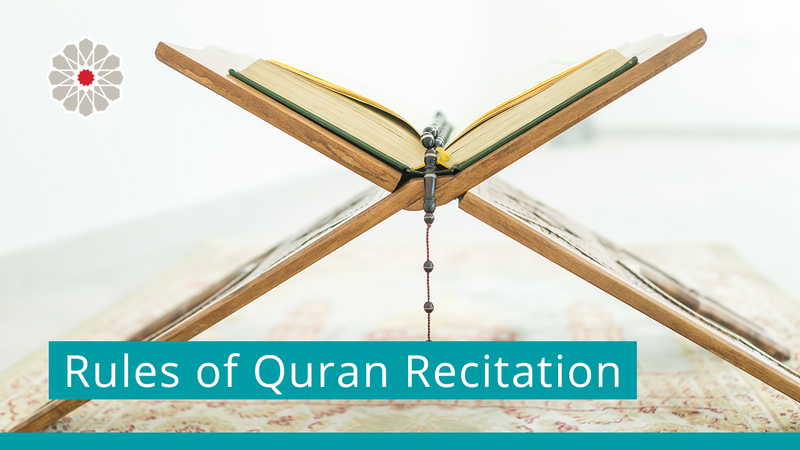 This level consists of eight mandatory modules, covering Arabic language extensively, as well as Islamic law, hadith, Quranic studies, and the principle sciences underpinning these disciplines. Students will also have the opportunity to further their studies by travelling abroad with the institute on the annual Sacred Science Journey and the Summer Residential Retreat. These are highly recommended for students who are able to dedicate the time to deepen their understanding of the material covered in the classroom and to be taught by international scholars. Our unique three-tier structure makes our Alimiyyah Degree unlike any other. The Degree is split into three-distinct levels: Foundation Level, Intermediate Level, and the world-renowned Advanced Level – taught exclusively by Shaykh Akram Nadwi. These three programmes together form the UK’s first part-time ‘Alimiyyah Degree taught exclusively in the English language. All students of the Islamic Scholarship Programme will come together for the compulsory lectures on Study Sundays. These are the core lectures and take place during term-time over 30 weeks (or 24 for the Advanced level). They provide the core information that you will discuss in tutorials, essays or examinations. All of the core lectures take place onsite (in London) and are streamed live to our online students all over the world. 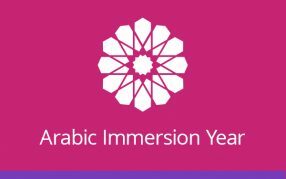 Afterwards, the recordings are made available to all students via the Virtual Madrasah: ASI’s flagship learning management system. Tutorials take place during a weekday evening – usually lasting no more than two hours. Tutorials allow students to review their answers or theories that have been developed over the duration of the course, and to explore ideas that arise in discussion with your peers and tutors. Workshops are arranged to provide the practical study experience that cannot always be assured in the classroom setting. Visits to graveyards to witness the Islamic funeral rites, or boot-camps in essential study skills are typical first-year workshops. Seminars develop your ability to think for yourself – an essential ability for academic success and perhaps the single most important skill that is developed by students at ASI. You will learn to present and defend your opinions, accept constructive criticism, and consolidate your lessons into a coherent and articulate perspective. The classes are held on Sundays in east London from 10am – 6pm. Is the programme taught in English? Yes. The entire programme is taught in the English language. Many of the texts are studied in the original Arabic with translation, explanation, and tuition in English. I have a very busy schedule and cannot always dedicate an entire Sunday to my studies. Are the classes mandatory to attend? Yes and no. Onsite students are required to attend every class and will be penalised for unauthorised absences. Online students have a little more flexibility to allow for the differences in time zones. However, it is strongly recommended for all students to attend all classes live. Can I study the entire programme online? Yes. The entire ISP can be studied online from start to finish. Further, recorded access is available for all core lectures. 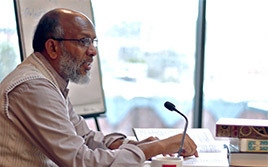 Does Shaykh Akram Nadwi teach the entire programme? No. There are over 12 faculty members teaching throughout the ISP who are experts in their respective fields. Shaykh Akram teaches modules in every year of the programme and teaches the Advanced level exclusively. The Shaykh ultimately authorises the graduation from ASI, but he does not teach everything! Is the Alimiyyah Degree recognised by Nadwat al-‘Ulama or any national or international universities? At the moment – no. The entire programme is authorised by Shaykh Akram Nadwi. Do I have to sit the exams in the UK even if I live abroad? No. 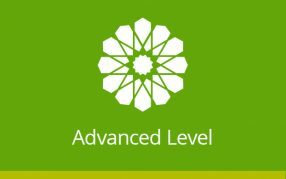 All exams and assignments are conducted online via the ASI Virtual Madrasa. The Advanced level exams are required to be sat onsite. Students living outside of the UK are able to sit these exams at a designated test centre near to their location. Graduates of ASI are marked by their embodiment of religious knowledge and are encouraged to contribute to society through their writings, actions, and dealings with others. Graduates may also choose to pursue post-graduate study in order to specialise in legal verdicts, hadith classification, or Arabic language. Yes and no. Unfortunately ASI is no longer able to financially support students attending the Institute due to a lack of scholarship funds. However, there are a number of instalment plans available for students who struggle to pay the entire fees upfront. Is the Sacred Sciences Journey a part of the Islamic Scholarship Programme? Yes and no. 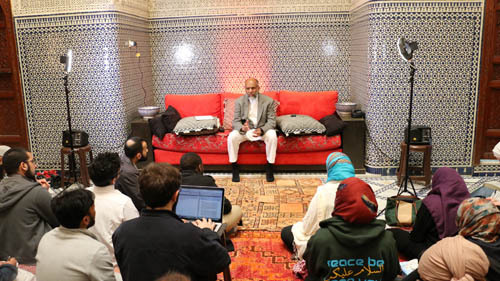 The SSJ initiative came about in order to enable students of the ISP to visit and gain ijazah from some of the leading scholars of the Muslim world. However it is an elective module and is priced separately. Is the Sacred Sciences Journey only for students of the ISP? No. The SSJ is open to external students from all across the world. What texts are studied on the SSJ? The syllabus changes from year to year, but will typically include a mixture of introductory level modules for beginners and maqra’ (hadith reading) sessions for senior students of knowledge. The SSJ sounds amazing. Where can I find more information? Can I enrol one year at a time, instead of all six years at once? There are 7-8 hours of core lectures on a weekly basis, as well as an average of 4 hours per week in seminars and tutorials. How many hours of independent study is recommended? We recommend 4 hours of independent study per week, in addition to the core lectures on Sundays. I live outside of London. Should I attend onsite or online? Onsite – if possible. Students of the ISP commute from all over the UK on a weekly basis in order to benefit from the classroom experience. What are the entry requirements to join the programme? A basic ability to recognise Arabic characters is required for entry onto the Foundation level. 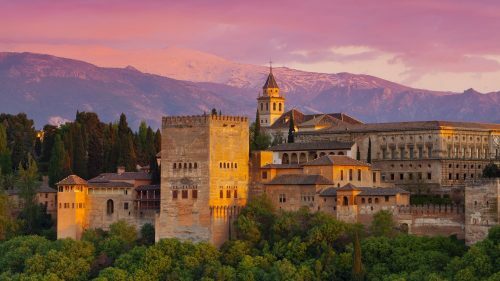 I have been studying the Islamic sciences for quite a while on my own, do I have to start at the Foundation level? No. 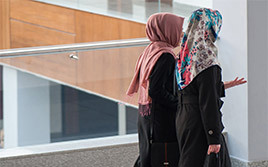 Students who have already graduated from an Islamic studies programme may be eligible to enter directly into the Intermediate or Advanced levels of the ISP. How can I determine which level I should enrol onto? Contact admissions@alsalam.ac.uk or + 44 (0) 20 8090 1623. Will I automatically be enrolled onto the following year? No. Entry onto the next year of the ISP is subject to satisfactory results in the end of year examinations. Onsite students are those who choose to attend the lectures on Sundays in London. The benefit of attending onsite is that students are able to study directly from the teachers and benefit from the classroom environment. Onsite students (all students of the ISP) will also have recorded access to all of the core lectures lectures a few days after the lessons are delivered. The online enrolment option is available for students who live outside of London or cannot travel to the class venue on a weekly basis. The classes are streamed live online to students all over the world via the ASI Virtual Madrasah. Lessons are streamed at high-definition with a multi-camera setup, facilitating an interactive learning environment for dynamic student engagement and participation.